Seth Rogovoy to Discuss Bob Dylan’s Jewish Influences in Pittsfield, Mass. (PITTSFIELD, Mass.) – Seth Rogovoy, termed “American Jewry’s greatest Dylan scholar” by Religious News Service, will present a multimedia program exploring the Jewish influences in the life and work of the recent Nobel Prize-winner entitled “The Kabbalah of Bob Dylan,” at Congregation Knesset Israel (16 Colt Rd.) on Monday, May 22, at 7pm. Along the way, the program will examine the Minnesota-born folksinger’s deeply religious and cultural upbringing, his commitment to Jewish practice and causes, and his decades-long connection to the Jewish outreach organization Chabad. 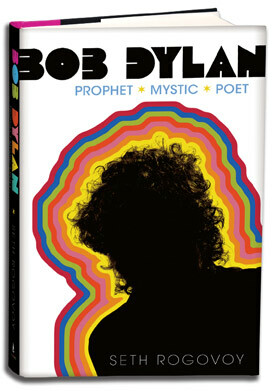 Attendees will learn how Dylan grew up in a Yiddish-speaking home in a family that was at the very nexus of his hometown’s Jewish community; how classic Dylan songs including “Blowin’ in the Wind,” “All Along the Watchtower,” and “Forever Young” have their lyrical roots in the words of prophets Ezekiel and Isaiah and in Jewish liturgy; and view rare video footage of Dylan performing Jewish music and quoting from the Book of Psalms. The event is co-sponsored by Congregation Knesset Israel and Temple Anshe Amunim. Seth Rogovoy is a familiar name to Berkshire readers and public radio listeners. For 16 years, he was a music critic and arts writer at the Berkshire Eagle; he was the founding editor of Berkshire Living magazine; and his weekly cultural commentary has been heard on WAMC Northeast Public Radio Network for over two decades. A graduate of Williams College, Rogovoy was formerly a board member of the Jewish Federation of the Berkshires and a member of congregations Ahavat Sholom in Great Barrington, Mass., and Beth-El in Bennington, Vt. A founder of the South Berkshire Minyan, Rogovoy now lives in Hudson, N.Y.
Rogovoy is also an expert on klezmer, having penned “The Essential Klezmer: A Music Lover’s Guide to Jewish Roots and Soul Music” (Algonquin, 2000), the all-time, best-selling guide to the music. Rogovoy was awarded the 2016 Simon Rockower Award from the American Jewish Press Association for excellence in arts and criticism for his portrait of musician Leonard Cohen (z’l) published in the April/May 2015 issue of Hadassah Magazine. Rogovoy is a contributing editor to the English edition of the Forward, for which he has written for more than 25 years. 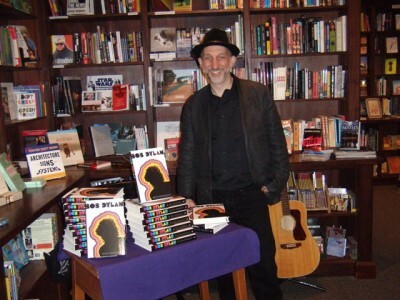 His work has been published in Haaretz (Israel), Jewish Press (U.K.), Jewish Quarterly (U.K.), Tablet, Pakn Treger, Berkshire Jewish Voice, Newsday, Boston Phoenix, Chronogram, Woodstock (N.Y.) Times, and others. Rogovoy is the programming consultant for the Yiddish Book Center in Amherst, where he curates the annual Yidstock: Festival of New Yiddish Music. Rogovoy’s Friday weekly cultural commentary can be heard on WAMC Northeast Public Radio Network on Midday Magazine. He also publishes daily and weekly newsletters in his online magazine of cultural and critical news and observations, the Rogovoy Report. Guitar players can bring their instruments to “jam” with Rogovoy on Bob Dylan songs after his presentation. Light refreshments and beverages will be served. Rogovoy’s books will be available for purchase and signing after the program. Tickets are $18 and can be purchased online at Congregation Knesset Israel; reserved at Knesset Israel’s main office during business hours; by phone at (413) 445-4872 x. 10, with over-the-phone charge taken; or payable by check sent and made out to Knesset Israel, 16 Colt Road, Pittsfield, MA 01201 (please note the word “concert” on the envelope). This entry was posted on Thursday, May 11th, 2017 at 10:31 am	and is filed under Blog. You can follow any responses to this entry through the RSS 2.0 feed. You can leave a response, or trackback from your own site.